Hail and Happy Holidays Fellowship! It is our hope everyone is having a happy and healthy holiday season! May your holiday celebrations bring peace, love and joy. In our article of November 29th, 2017 we said we would be announcing event(s) and a Conference for 2018. (Read Here) Since making that announcement our planning council have discussed the future of the Conference. For 2018, we have changed our format, and instead of having a one day Conference, we will be hosting several smaller events throughout the year. These events will be 2-3 hours rather than a one day 7-8 hour event. We will be hosting a Guest Speaker(s) for the Spring, Summer and Fall events. Each event feature a Guest Speaker Presentation, Q&A, and time for community gathering and discussion. 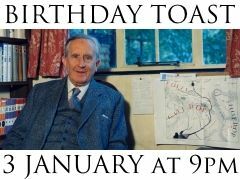 In addition to these events there is first the Tolkien Birthday Toast on January 3rd 2018, which is an annual global event hosted by The Tolkien Society. We will be getting together privately with friends and encourage you all to do so and raise a glass To the Professor! On January 31st 2018 there will be a Tolkien presentation at the Hauser and Wirth Gallery, which is not hosted by the New York Tolkien Conference but will feature our Co-Chair Jessica Burke. For Tolkien, the construction of language bred a mythology, which we know today as Middle-earth with its historical tales of Rings, Hobbits, Elves, Wizards & Dwarves. What did he mean when Tolkien said, “to give your language an individual flavour, it must have woven into it the threads of an individual mythology”? How did Middle-earth come to life via languages of his Secondary World? This talk shall explore the languages of Middle-earth, the cultures that speak them, the effect language has within the world and stories, and their place within our modern world. 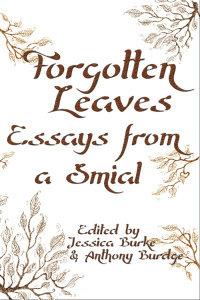 ABOUT: Jessica Burke is Editor in Chief at Myth Ink Books, Co-Chair of the New York Tolkien Conference, recipient of the 2012 President’s Gold Medal for her work on The Mythological Dimensions of Neil Gaiman, was awarded the Beyond Bree MENSA Award in 2005 for her Tolkien Scholarship, is currently an adjunct lecture for the City University of New York. Our 2018 Spring event will be held at the Baruch College Library, which shall be our Tolkien Reading Day event with a Guest Presentation and scheduled several readings (see below) from the work of J.R.R Tolkien. If you would like to get ahead of the line and be scheduled to read your selection from the work of Tolkien fill out the CONTACT FORM below. To notify us that you would like to be scheduled to read after the Guest Presentation fill out the below form: (Please keep in mind we will be looking for no more than 15 mins for each reader, and we will announce a cap on how many readers we will have). We are currently in talks with Guest Speakers for our Summer and Fall events and have hope to make an announcement sometime before our March event. If you would like to help support our endeavors to bring more Tolkien events to the NYC area please see our DONATE PAGE for several ways you can assist. LOL, I just copied the link to Email this to you!